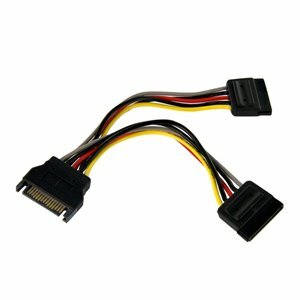 StarTech Cable PYO2LSATA 6inch Latching SATA Power Y Splitter Cable Adapter Male/Female - Boom I.T. 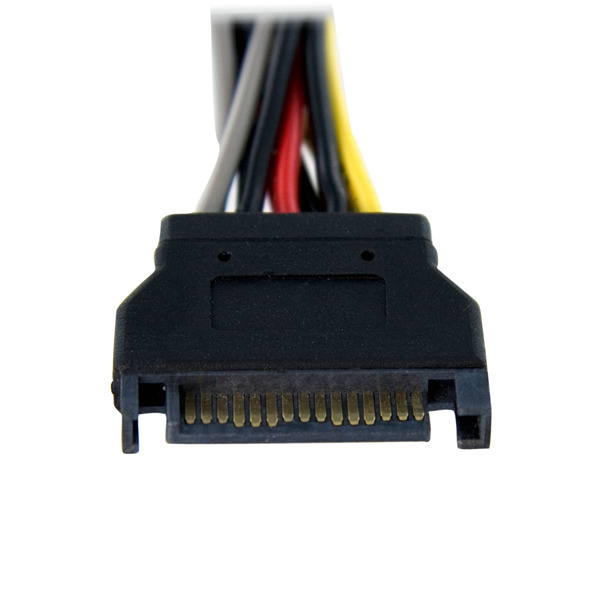 The SATA power splitter/Y-cable overcomes the limit of the number of SATA drives that can be installed in the system based on available PSU power connections, and eliminates the cost of having to upgrade the power supply to accomodate an additional SATA drive. 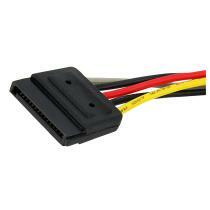 This product allows connection of two SATA drives to one SATA power supply connector, and is easy to use and install. 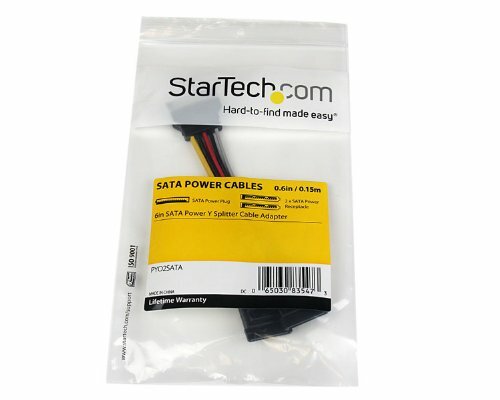 TURN ONE SATA POWER CONNECTOR INTO TWO The StarTech PYO2SATA allows connection of two SATA drives to one SATA power supply connector, an inexpensive way to add more power connectors to a power supply. 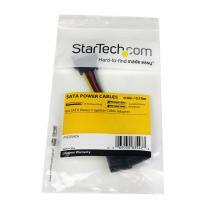 EASY TO USE AND INSTALL The use of the StarTech PYO2SATA is easy, just plug one more SATA drive.